Just as a picture can say a thousand words, a color can often do the same! Colors have the ability to represent many things, and this year Pantone’s Color of the Year, Living Coral, “embraces us with warmth and nourishment to provide comfort and buoyancy in our continually shifting environment,” says Pantone’s team. This color was chosen as the increase of technology and other digital media is becoming more and more prevalent in our daily lives; Pantone’s team is hoping to use Living Coral to encourage intimacy, optimism and joy. Sometimes this world, especially online, can be a dark and negative place, but they are seeking to “welcome and encourage lighthearted activity” more this year through color. 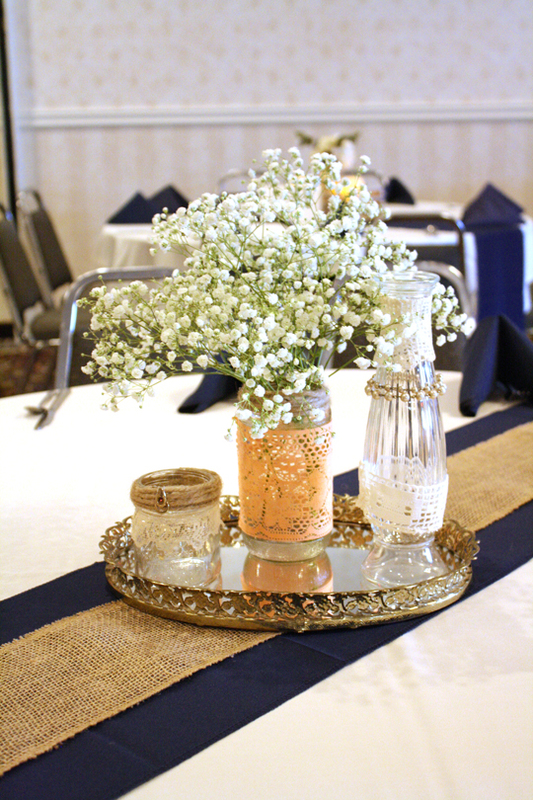 Now the question arises: how can you use coral on your wedding day? 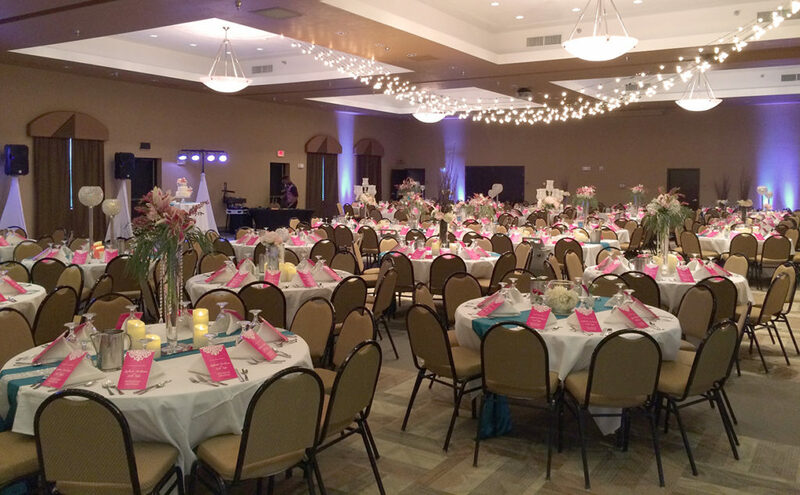 It’s recommended that your wedding color palette use the 60-30-10 rule. That means 60% of your color scheme should be one main color, 30% should be another, perhaps neutral color, and 10% should be that pop of another color. Of course, rules were made to be broken, so have as many hues as you’d like, but make sure they’re all not competing against each other for attention. 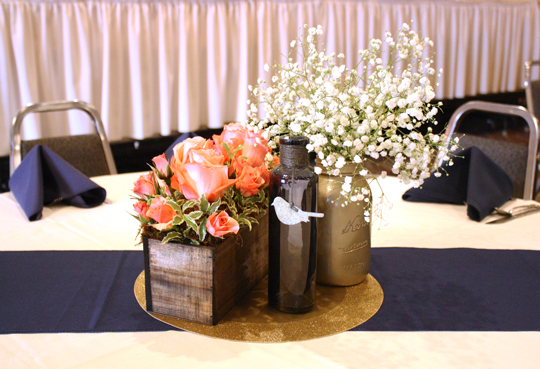 For example, perhaps your main wedding color is navy (60%), your neutrals are ivory and gold (30%) and your pop of color is coral (10%). That’s just one idea! 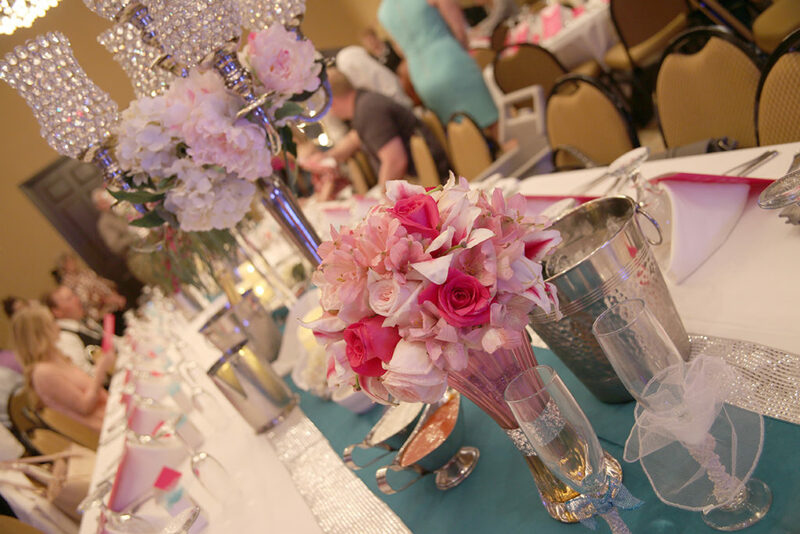 We love the idea of a wedding being full of life and color! While coral is vibrant and enlivening, it still has a softness to it that isn’t overwhelming. 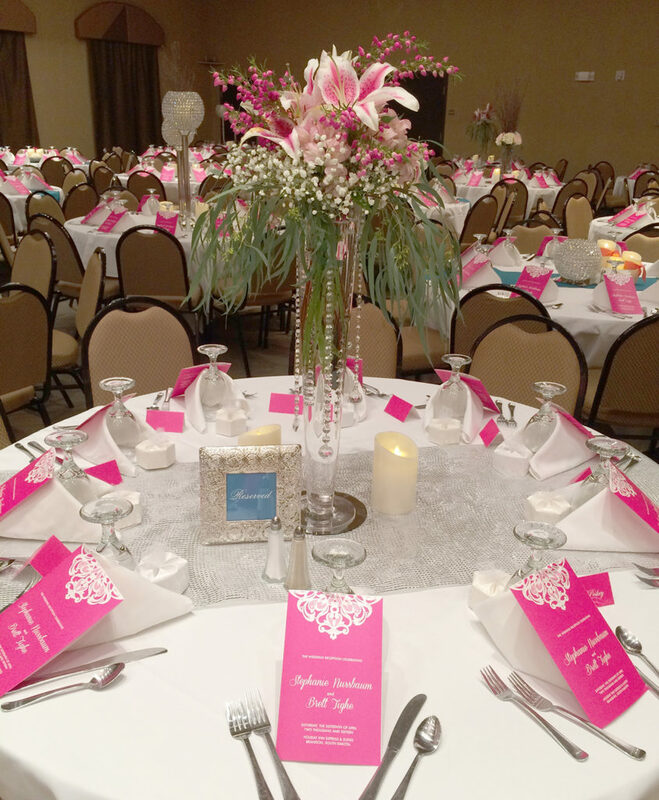 Front seat role: Are you loving coral and wanting it to have a “front seat” role in your wedding day? 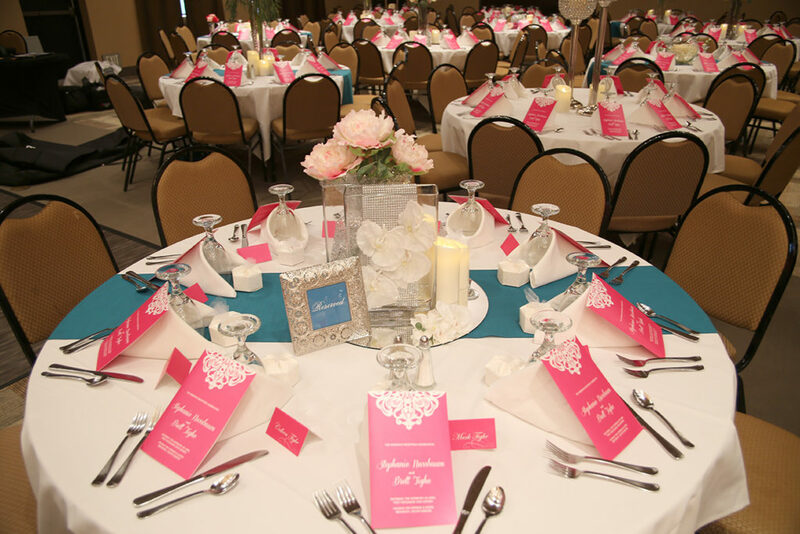 Check out some photos of this wedding that used coral and teal as its colors! 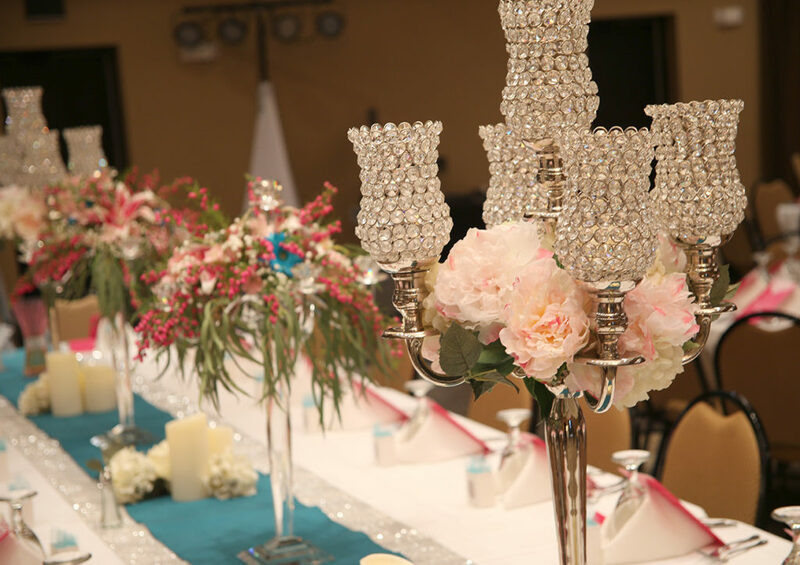 This beautiful day was FULL of glitz, glamour, and sparkle. Can you tell which color was 60% and which was 30%? I would call the silver sparkle the 10% accent. Back seat role: Are you also loving this color for but you feel like using it as a primary might just not be very “you”? Don’t worry! Coral makes for a GREAT accent color as well. 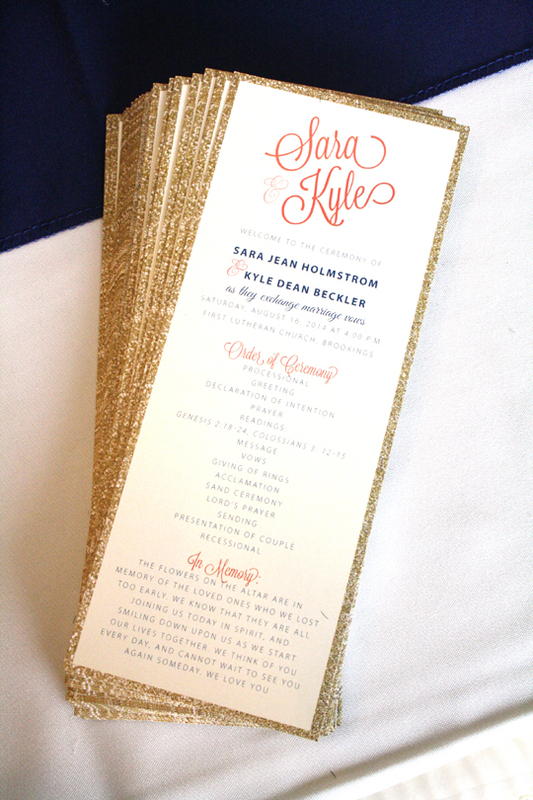 Check out this wedding that used navy and gold with some pops of coral in flower arrangements, invitations, and more! For further inspiration on how to incorporate coral into your wedding, be sure to check out the Hitch Studio “Pantone 2019: Living Coral Pinterest board! 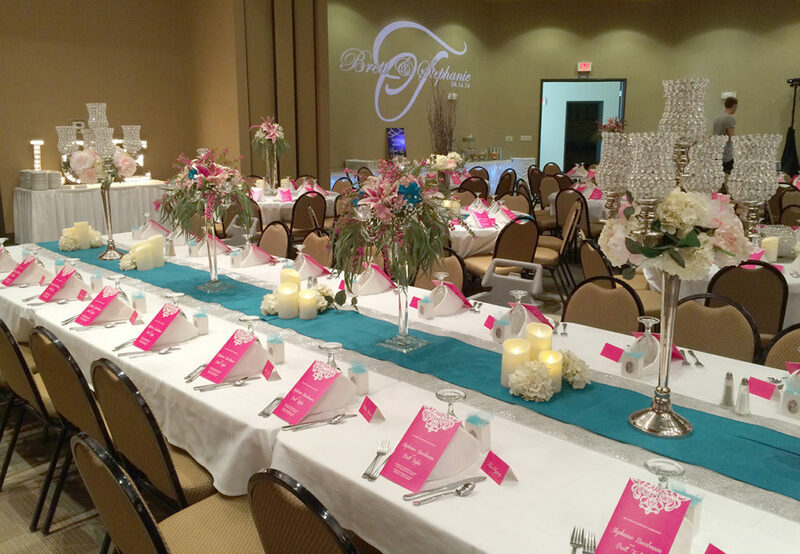 Of course, if you ever need some direction on adding coral to your wedding day, contact Hitch to set up a meeting and get started.